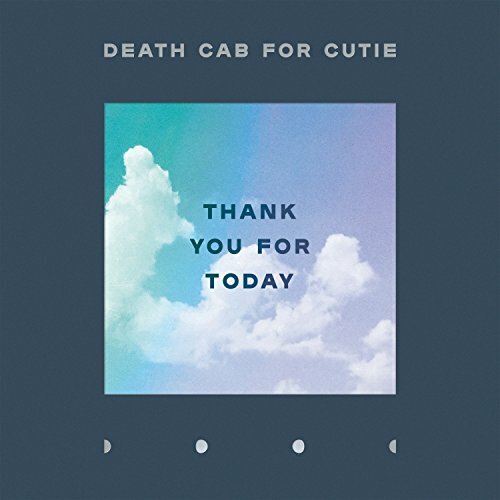 Thank You for Today, Death Cab for Cutie's ninth studio album, was produced and mixed by Rich Costey (Fiona Apple, Franz Ferdinand, Muse), who also produced the band's last album the GRAMMY® nominated Kintsugi. Thank You for Today marks the first Death Cab for Cutie release to see long time bandmates Gibbard, Nick Harmer, and Jason McGerr joined in the studio by new members Dave Depper (Menomena, Fruit Bats, Corin Tucker, Ray Lamontagne) and Zac Rae (My Brightest Diamond, Fiona Apple, Lana Del Rey, Gnarls Barkley). Depper and Rae have both been part of Death Cab's touring band since 2015. Death Cab for Cutie will celebrate their new album with a much anticipated fall tour. If you have any questions about this product by Barsuk Records, contact us by completing and submitting the form below. If you are looking for a specif part number, please include it with your message.